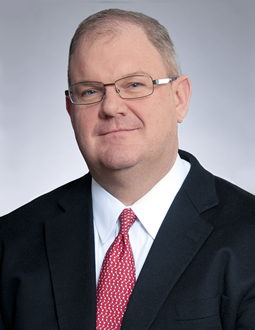 Mr. Pytosh serves as Executive Vice President, Corporate Services for the general partner of CVR Refining, LP, as well as Executive Vice President, Corporate Services for CVR Energy, Inc. and Chief Executive Officer, President and a Director of the general partner of CVR Partners, LP. He also serves as Chairman of the Board of Directors’ environmental, health and safety committee for CVR Partners. Prior to joining CVR Partners, Mr. Pytosh served as Executive Vice President and Chief Financial Officer for Alberta, Canada-based Tervita Corporation, an environmental and energy services company. From 2006 to 2010, he served as Senior Vice President and Chief Financial Officer for Covanta Energy Corporation, which owns and operates energy-from-waste power facilities, biomass power facilities and independent power plants in the United States, Europe and Asia. Prior to Covanta, Mr. Pytosh served as Executive Vice President from 2004 to 2006, and Chief Financial Officer from 2005 to 2006, for Waste Services, Inc., an integrated solid waste services company that operates in the United States and Canada. Prior to joining the renewable energy and waste industries, Mr. Pytosh spent 18 years in the investment banking industry, working with a broad range of clients in the environmental services, automotive, construction equipment and a variety of other industrial sectors. From 2000 to 2004, he was a Managing Director in investment banking at Lehman Brothers, where he led the firm’s global industrial group. Prior to joining Lehman Brothers, he was a Managing Director at Donaldson, Lufkin & Jenrette, where he led the firm’s environmental services and automotive industry groups. Mr. Pytosh received a Bachelor of Science in Chemistry from the University of Illinois, Urbana-Champaign. He also serves on the Board of Directors for the University of Illinois Foundation.